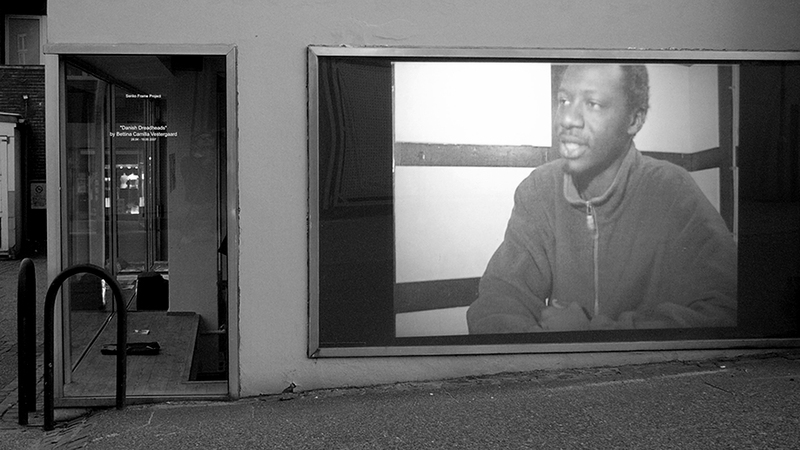 Projection of the video to the public. Installation: Senko Studio, Viborg, DK. Danish Dreadheads is a video portrait of charismatic ”dreadheads” located in Copenhagen. In the video I question why they came to have dreadlocks, their group identity, as well as their political and religious beliefs. I also reflect upon my own position in the local dreadlocks “community” and during the project I decide to pull apart my own locks.. The underlying intention of Danish Dreadheads is to question the historical consciousness of the ”dreadlock” expression and its relationship to fashion.